The Great Egret, also known as the Great White Egret is a large bird found in Asia, Africa, the Americas, and southern Europe. Tropical waters and warmer regions is there habitat and where they build their nests in colonies next to the water up high on trees to deter predators such as the raccoon. 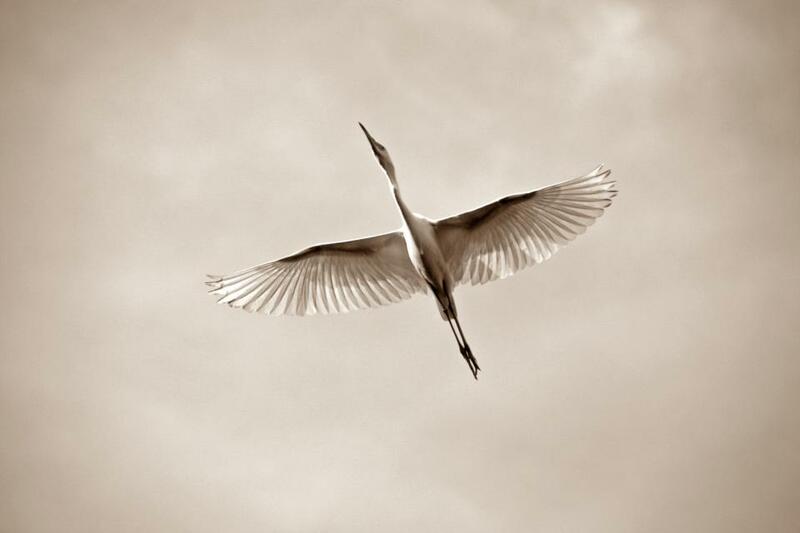 Great Egrets are tall, long-legged wading birds with long S-curved necks. In flight, the long neck is tucked in and the legs extend far beyond the tip of the short tail.